Chris Weston: SPFBO4 99cent Sale! 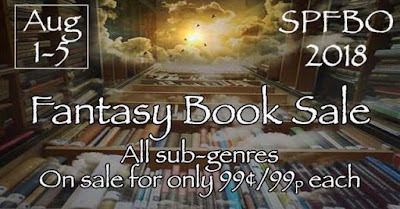 The major news for all of you is a gigantic 99c sale going on for SPFBO4! The SPFBO4 is organized by author Mark Lawrence, and ran by a very lovely panel of reviewers. They run this each year, and each year some incredible looking stories show up. Since Fragile Nights is a contestant, it is included in this sale. All participating authors involved in the contest are listing their books for $0.99. With a contest of 300 books, that’s a lot of money to spend at full price. If you’re interested in reading fresh fantasy novels, comb through the page here to put in your online basket.